The summer season in Cuba attracts thousands of vacationers interested in nature tourism every year. On this occasion, the Guide to Camping was launched in the eastern city of Santiago de Cuba to promote the island's nature, history and culture. The Guide reviews more than 80 camping sites and centers throughout the country, and provides information about them. 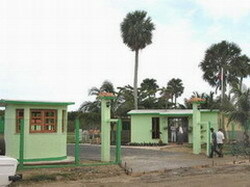 In addition, the Guide includes a code of conduct to guarantee visitors a happy and pleasant stay in Cuba. Since its creation on May 16, 1981, camping sites have been a highly-demanded tourist offer for Cuban families, and even for foreigners. This way of spending your spare time in direct contact with nature has increased the offers for vacationers, including video and television halls, games areas, sports facilities, dance floor, restaurants and cafeterias.